Did you know that every area and paper gets different coupons in their inserts? This is one of the biggest things that can frustrate couponers… we all want the great coupons but sometimes only a few select areas get them. Each week volunteers send in insert variation lists to show exactly what coupons were in their papers. I take these and put them into the coupon database. In turn you can then have shopping lists that only show the coupons in your area! 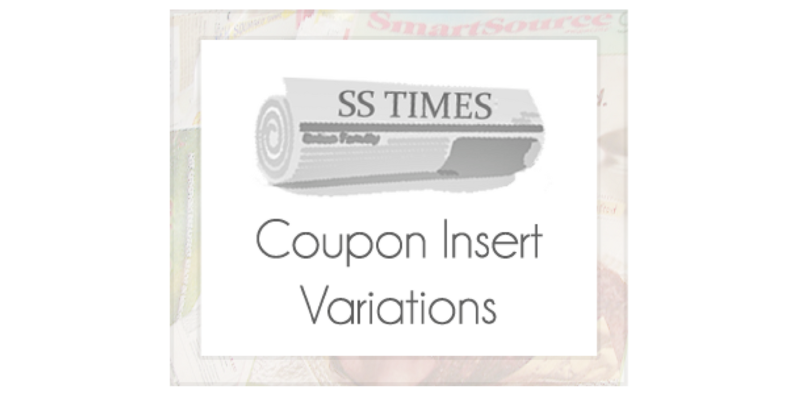 Take a look at this week’s coupon insert variations from 06/03. Click on your newspaper to see which coupons you actually received. If your paper is not covered and you’re interested in helping, feel free to email me at jenny@southernsavers.com for directions. I promise it’s easy! As folks send me their lists I will continue to update this list. Black = You got this coupon! Blue = A change in value or a new coupon not in the preview.